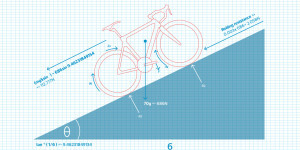 A large yellow envelope was dropped on the desk with a note: “Please read before taking photos and riding.” It was an unfamiliar step – far from the unpack, shoot and ride process that generally fills the Bike Test pages of cycling publications. There was something special and refreshing about taking instructions from the frame’s builder, Darrell McCulloch, prior to proceeding any further. 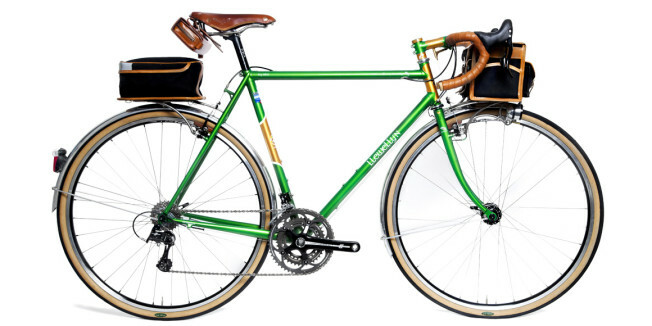 The Llewellyn Randonneur Voyageur – roughly translated to “traveller” – is built to McCulloch’s Custodian or level top tube specifications and, despite looking the part, is not a touring bike. 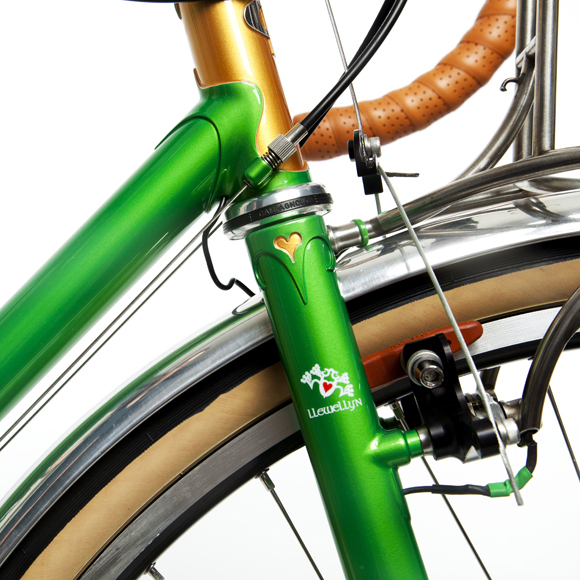 The tubing is steel Columbus Spirit and is chosen to suit the characteristics of the frame and rider. This particular frame utilises the light-to-medium-sized rider tubing with oversized options available for heavier riders. Eye for detail The wiring for the generator front lamp runs neatly through the front rack, which is, of course, produced in-house at Llewellyn. There are so many interesting features across the Randonneur that it takes nearly 10 pages for McCulloch to explain it all, but most notably would have to be the Llewellyn-made lugs. Demanded worldwide by frame builders, it’s comforting to know those behind the welding torch desire his services. 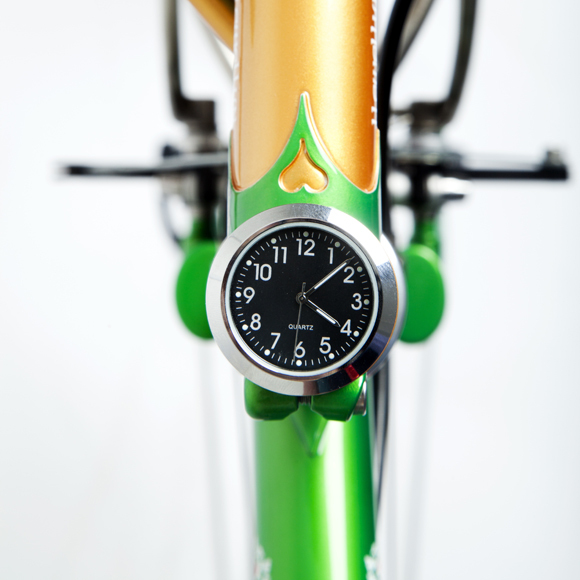 Integrated spare spoke holders, a matching custom stem and steerer tube timepiece – ‘to know what time the pubs opens’ – are just some of the standouts that have undoubtedly made Llewelyn the well-respected brand it is today. 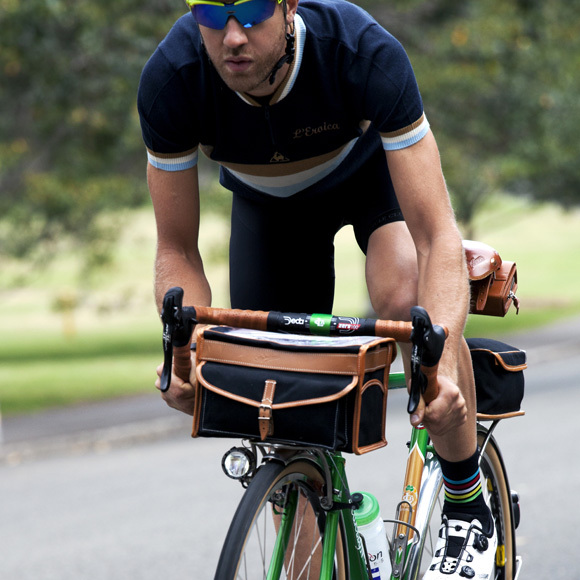 Fitted with front and rear bespoke racks, built by McCulloch in his Queensland workshop, and a delightful pair of Gilles Berthoud bags, the Randonneur is intended to instead bridge a gap between touring and general road riding. The bags are tuned to perfectly pair with the bespoke racks and can be quickly removed thanks to his moto-inspired titanium racing clips. Nothing is left to chance. The geometry is closer to a touring frame but with a travellers theme, suited to carrying additional load while not being so overly built as to limit its use to only the longest of journeys. The handling and steering is intended to be what some would deem ‘slow’ to handle extra weight applied the front end. 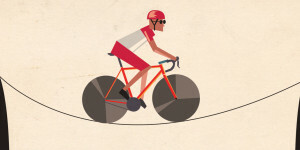 This key element will also assist when coming off the back of long hours out on the road. It will feel a little odd coming straight from a racing frame but you quickly realise its purpose when taking off fully loaded. With so much to consider in McCulloch’s ensemble, the untrained eye could easily look over some of the classiest of details. 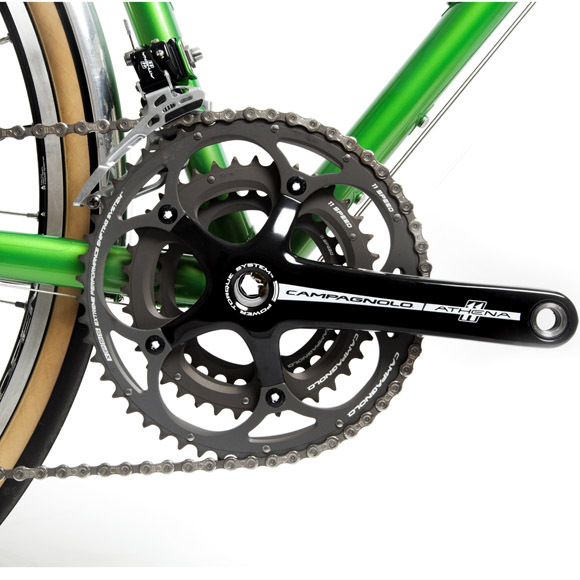 The racks, for example, are constructed from stainless 316 tubing with silver brazing and take approximately 40 hours to produce for the front alone. It’s not about making it by hand for the sake of a stamp; McCulloch is simply unwilling to compromise any element of his design that could be done better. It’s all part of a desire to produce a stunning package that will stand the test of time. 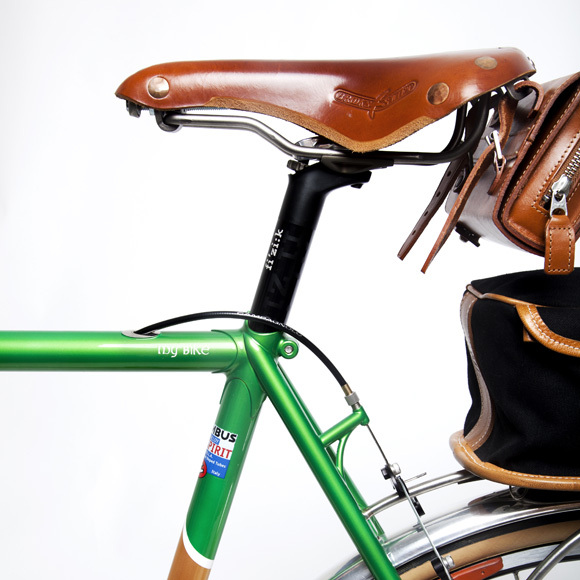 According to McCulloch, his Randonneur is the style of bike the majority of us should be riding. Weekend adventures, daily commutes and what he calls ‘credit card touring’ are where it feels most at home. There’s enough on-board space to carry spare clothes, shoes and the day’s fuel needs, but don’t get confused with thinking this is a turbo-charged commuter. 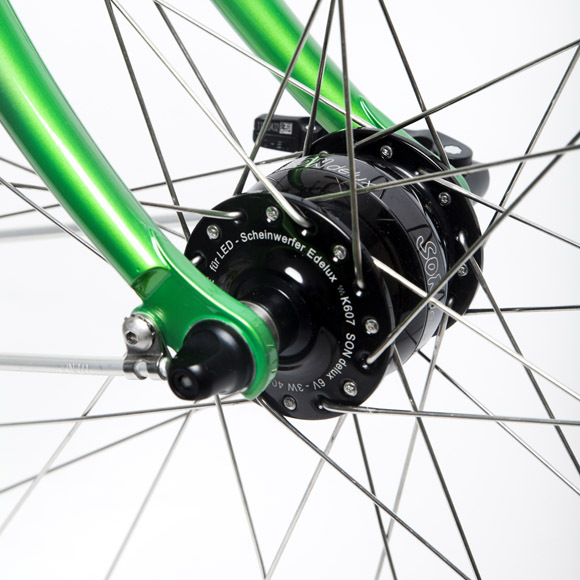 The tied and soldered rear wheel, Mavic Open Pro rims, Campagnolo Record rear hub and connectorless generator Schmidt SONdelux SL front hub keeps with his ethos, blending traditional frame construction with the best contemporary materials and design. McCulloch makes a convincing case but I have to admit that if presented with a Llewellyn back in my early bike testing days, I wouldn’t be so intrigued. 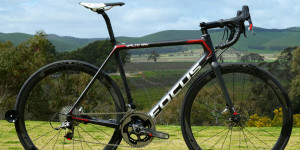 A pro team replica was all I wanted to ride – the more expensive and lighter, the better. That holds true today, but perhaps a maturing palate has also passed through to my taste for bikes. There is definite appeal in a bike built solely for you. Sure, this particular model is not for the Cyclist office to keep, but if you were to part with $16,000 you could at least be confident that you wouldn’t see another one like it – probably ever.  It’s a nice feeling considering the mass-produced hungry market that currently fuels the cycling industry. Considering the extensive wait time for custom Llewellyn, it’s clear there’s plenty room for [quality] custom building. One of the best parts is they are often only a phone call away. It could be age starting to creep up, but a custom ensemble now feels like a question of not ‘if’ but ‘when’.